Dr. David Timothy Moriarty, Jr.
Dr. David Timothy Moriarty Jr. passed away on March 14, 2019 in Tilton, New Hampshire at the age of 81. Born to David and Anna (Buck) Moriarty he graduated from Archbishop Stepinac High School, White Plains, N.Y., Merrimack College, North Andover, MA, and Georgetown University School of Dentistry in Washington, D.C. 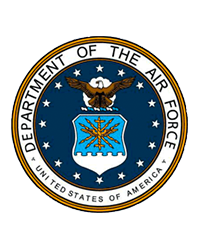 He served in the United States Air Force, based at Loring AFB, Limestone, ME. He was an active member of St Georges Church, Guilford, CT serving as a trustee, lector, and a Eucharistic Minister. He is survived by four sisters, Veronica Morrow (Robert), Elizabeth Wootten (John), Frances Cook (Brad), and Helen Moriarty, his Aunt Veronica Fletcher, twelve nieces and nephews, and many cousins. A Memorial Mass will be celebrated on May 4, 2019 at 10:00 am at Saint Francis of Assisi Church, Mt. Kisco, N.Y. Interment to follow Saint Francis Cemetery. There's still time to send flowers to the Mass of Christian Burial at the St. Francis of Assisi Church at 10:00 AM on May 4, 2019.